Burglary is a crime that is almost always charged with other offenses. The public perception, as to what constitutes “burglary,” is often quite different than the legal definition. Arizona residents charged with the offense will typically face additional criminal counts as well. This means that those charged with burglary are facing substantial jail time. Our Phoenix defense lawyer is able to assist those in such situations. Contact our office today to speak with an attorney. 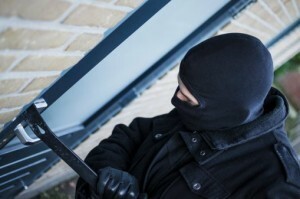 Burglary occurs when one enters a building with the intention of committing a crime. The crime does not have to be completed for a burglary charge; simply entering the structure with criminal intent is enough. In fact, Arizona prohibits the possession of burglary tools as a class six felony. A combing of the facts is essential for these charges. The extent of the charge will depend on several factors. First degree burglary, for example, will be charged when one is accused of entering either a space while in possession of a deadly weapon or explosives. As with other Arizona felonies, the process will begin by the filing of a criminal complaint in Superior Court or by the prosecutors seeking an Indictment from the Grand Jury. Hiring a criminal defense lawyer may make the difference in one’s case. Bretton is a defense attorney assisting those charged with burglary as well as other crimes. Bretton will immediately determine all of the charges against you and analyze how they relate to the burglary count. He will analyze all relevant evidence, file any necessary motions, and conduct a thorough investigation. He will ensure that you are up to date, regarding the status of your case, throughout the process. Our Phoenix-area lawyer regularly gives clients his cell phone number so he may be reached with questions and he communicates with clients outside of conventional business hours. We understand that this is a stressful time in your life. You are facing serious charges and we will take the matter seriously. Contact our office today. In addition to Phoenix we represent defendants in other Maricopa County cities such as Mesa, Glendale, Scottsdale, Chandler, and Gilbert. We also assist Pima County residents in Tucson. As explained above, burglary is typically charged along with other crimes. These can include both misdemeanor or felony charges. One may be charged with theft, robbery, or a crime of violence. A burglary count allows the prosecution to “stack” additional charges in that the State can take one criminal transaction and add extra charges. Having an attorney experienced with the system can assist a client who is initially shocked to see a large number of charges for what is really a single event. Our office is ready to assist you.